Don’t expect any outrage over the racist treatment of Justice Clarence Thomas in the recent decision regarding the voting rights act. 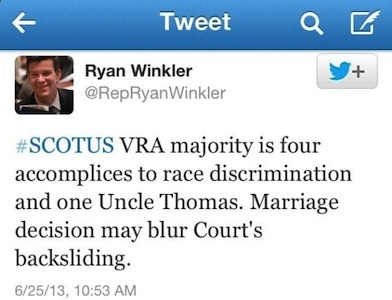 Know your place, Uncle Toms, aka black Conservatives. 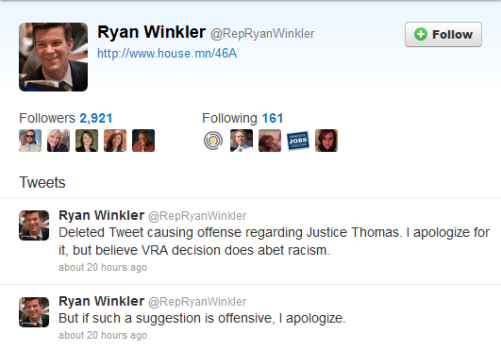 That is the Liberal message, as Minnesota State Rep. Ryan Walker ( Democrat) was quick to point out. There has been little outcry by the Republicans to POINT OUT this obvious hypocrisy by the Left. Don’t hold your breath waiting for the Republican Party to “market” this lunacy of the Left AGAINST THEM, or to remind people that the legislation that is no longer was Republican-sponsored legislation in the first place. They won’t drive home that it was racist Democrats who were mistreating blacks, NOT Republicans. And ironically, Walker is doing it all over again. Even in Walker’s “retraction” of his racist statement, he didn’t dare kowtow to a black Conservative. For Walker, it was Uncle Thomas’ fault that black people would now by, as Biden so eloquently said, “put y’all back in chains.” It was not the fault of any of the WHITE Justices who voted in lockstep with Thomas. Is anybody going to ask Walker why he singled out the BLACK JUSTICE? Walker added, “But if such a suggestion is offensive…” as if he doesn’t KNOW that calling a black man an Uncle Tom is offensive. Here’s a litmus test for Walker: If you won’t say it to a man’s face, then it’s likely offensive. Will the NAACP issue a stern warning to racist Democrat Walker, or will he be ignored like all the other Democrat racists in history? What really happened in the SCOTUS decision is monumental for America, as much as the election of the first recognizable black president. 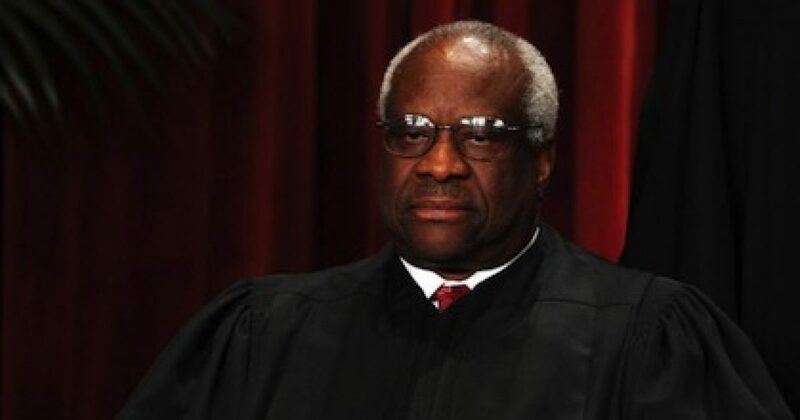 Justice Thomas was part of a decision that declared America officially NOT RACIST! America has a black president, a black man running DOJ (both crooks by the way), and a black man on the Supreme Court–a trifecta. America for the most part has been cleansed. Why America–particularly Liberal black America–isn’t CELEBRATING this ruling is beyond me. A ruling that essentially says that black people have risen from the depths of depravity and inhumanity to become among the best, at least in case of Justice Thomas, that America has to offer is a badge of HONOR. For black Liberals to allow white Liberals to cajole them into denigrating a black man who has risen to the highest level his career path has to offer is the definition of stupid. To say such things about Justice Thomas should be like using the N-word…unacceptable by ANY standards. Yet, white Liberals use black conservatives as their “whipping boys,” with immunity. Liberal black America should be ashamed of itself. Thomas was one of five votes. Nothing has changed in Democrats’ treatment of blacks. They just pick their targets in order to practice their deceptive racism. 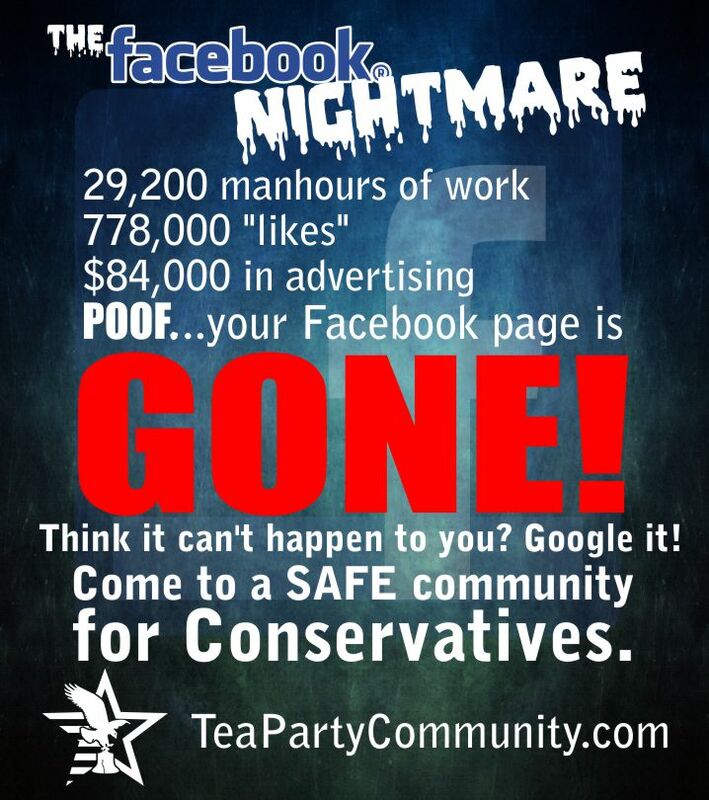 And what Liberals are really angry about is they may have lost their license to steal…elections, that is.